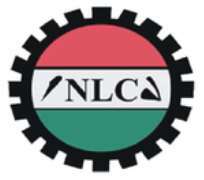 The Nigeria Labour Congress (NLC) yesterday said President Umaru Musa Yar'adua's much touted 7-point agenda has not led to the desired transformation of standard of living for Nigerians. Odah said that no good intention can ever materialise into tangible achievements without good leadership which is committed to safeguarding the wellbeing of its populace. He said leaders who have ruled Nigeria since 1999 have not shown the commitment required to take the country to where it ought to be. “If you have followed our rallies, we talked about Nigeria being a great country with very good people but with bad leaders. “So, I agree with the fact that we need good governance to be able to improve on any type of socio-economic agenda that you may have and as far as this government is concerned, if we have the type of bad leadership that we have had since we returned to civilian leadership, we will not be able to improve on infrastructure. “We will not be able to address the question of the Niger Delta and we will not be able to revamp the economy generally” he said. He said the NLC would watch keenly and hold government to its word with regard to Yar'adua's pledge to deliver 6000 megawatts of electricity by the end of the year.